It worked like a magic in growing my photography page on Instagram with real followers. Full Automation of Instagram activities leading to dramatic increase in your engagement on this social media, that is The Only Thing you need to have, if you want to get your content seen and gain popularity on social media. Well nothing special, just that their web page is in Italian, but their bot includes 14 languages. The good thing is that their support team can help you in English as well. I also needed their guide page in English and they provided it for me instantly. Well, I suggest them to first understand the bot. It is not anything complicated, just read the guide and you are fine. Other thing, choose the right targets, that is The Most Important thing in using this automation tool. 10 Good targets is good enough for at least one month. Well for me it was somehow inspirational, gaining popularity on Instagram, made me believe that my photos has the potential to be sold on other online Markets, which I have it as my side business now. I believe if you think your market is in Instagram, well this Marketing Tool is the key to your success. "An effective software to generate more leads on Instagram"
First, they provide all kinds of Marketing Tools that you might need for Instagram Marketing. I personally use all of their services. Second, the growth speed is amazing. You just have to learn how to work with the bot and add good targets, then you are all set to go. Last but not least, their customer services, they are unbelievably available. There are times that they respond to your inquiries immediately. One of the main problems of every bot is that some actions such as "Like" gets blocked by Instagram from time to time. The solution to tackle this problem is using a proxy. Fortunately, on Instarazzo you have the ability to set a proxy. The good thing is that if you ask the support team, they will assign you a free proxy for your account. Just learn how to use it and how to find good targets and you will be just fine. Instagram has become the main source of customers in many countries. Finding new customers was and is the best benefit of Instarazzo for me. In addition to that, I have a perfect business account on Instagram with lots of active followers. * We monitor all Instarazzo reviews to prevent fraudulent reviews and keep review quality high. We do not post reviews by company employees or direct competitors. Validated reviews require the user to submit a screenshot of the product containing their user ID, in order to verify a user is an actual user of the product. Hi there! 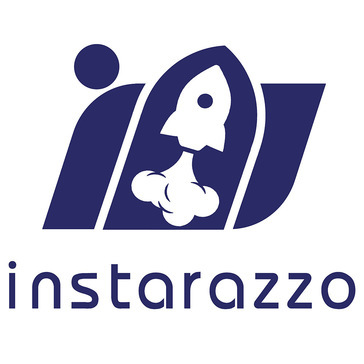 Are you looking to implement a solution like Instarazzo?